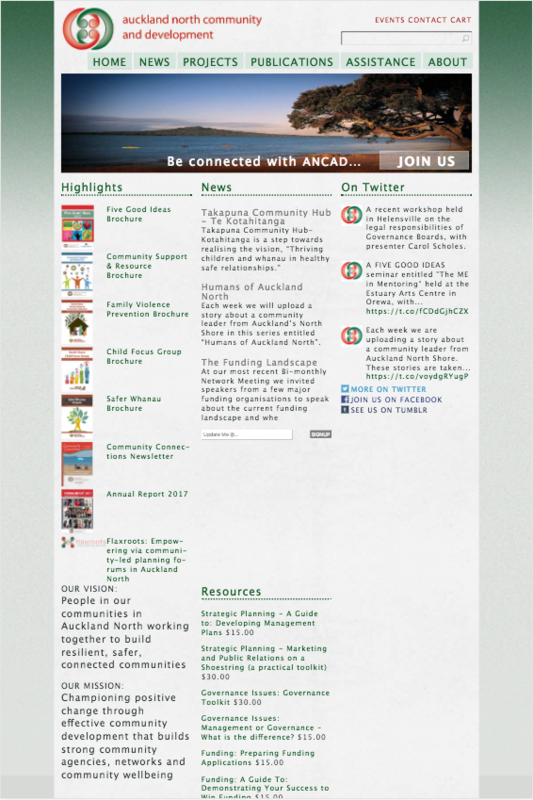 Auckland North Community and Development (ANCAD) — formerly known as North Shore Community and Social Services was formed in 1972 and incorporated in 1975. They support and strengthen community agencies by providing services, advocacy and information. Their vision is to have people in their communities in Auckland North working together to build resilient safer connected communities. They do this by supporting and strengthening their members and other community agencies by providing services, advocacy and information. Their mission is to championing positive change through effective community development that builds strong community agencies, networks and community wellbeing.